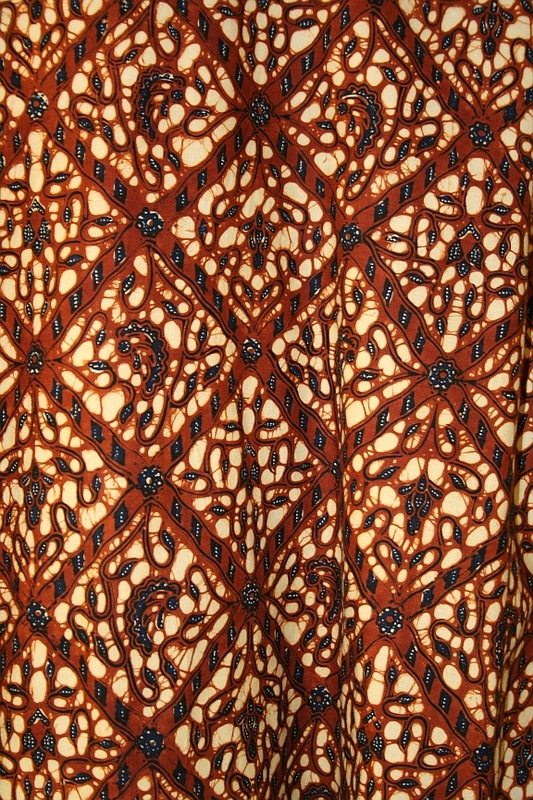 Indonesian batik. Source: Wikimedia Commons. Batik is a cloth-dyeing technique which originated in SE Asia hundreds of years ago. Historians argue as to exact timing, but it’s at least a thousand years old. 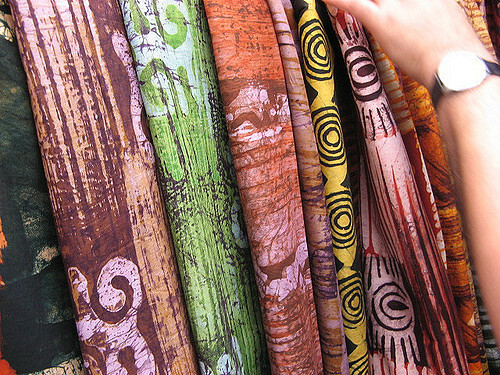 Cloth made with this technique is also called batik. It’s particularly associated with the island of Java, but has cultural significance throughout SE Asia. 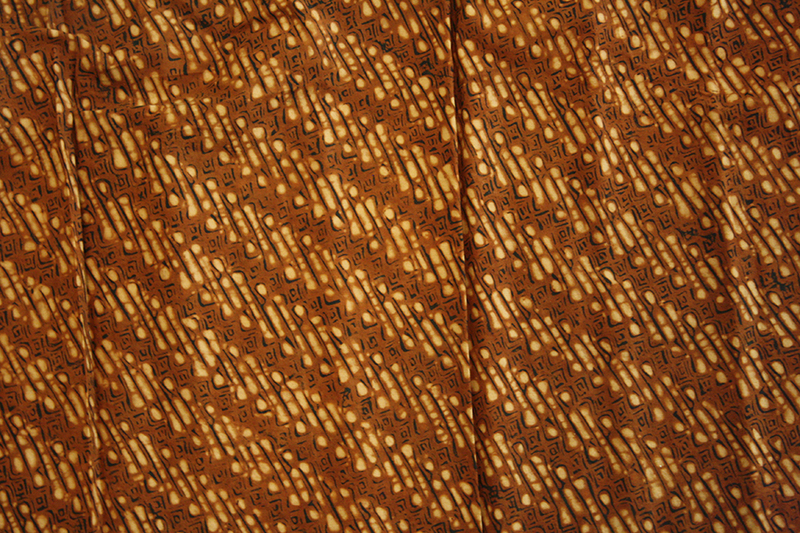 Batik dyeing involves applying wax to a length of cloth, dyeing it, then washing the wax out. The fabric may be treated with wax, dyed and rinsed out several times to create complex and colorful patterns. Seriously complex, wonderfully colorful. It’s a very joyful fabric, as a rule. Hand-made batik generally uses plain-woven cotton or silk cloth, although almost fabric could be used. As you might have guessed, it’s very time-consuming to make and the patterns can vary from simple and single-colored to very complex multi-colored arrangements. Batik is used for clothing in Asia for everything from baby slings to wedding garb. Around my neck of the woods, I’ve seen batik used for summer-time clothing – casual shirts, wrap skirts – and for decorative purposes – such as drapery. I’ve even seen examples framed and hung on the wall as art. Batik-style patterns are very popular with the quilting crowd. Batik techniques can be learned and it’s not hard to find local classes in addition to the slew of how-to books out there. 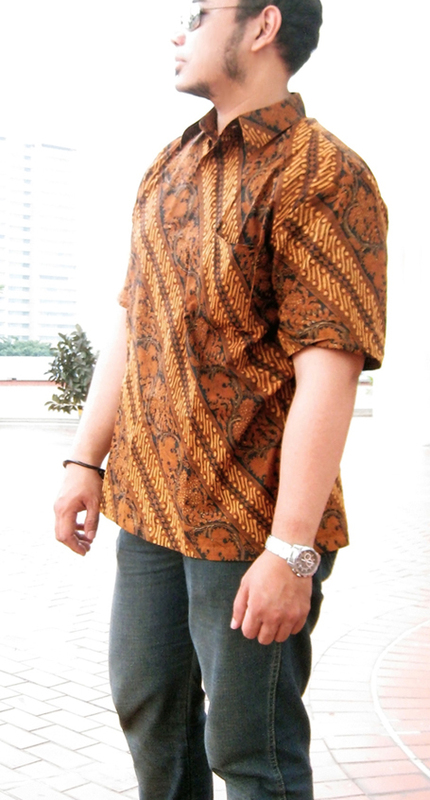 Indonesian batik men shirt Central Javanese Surakarta (Solo) style. Source: Wikimedia Commons. A popular alternative to hand-made batik is batik-styled printed cotton, used for the same purposes as its pricier counterpart. I’ve seen batik-style cotton prints for as little as $5/yd. The cheapest hand-made batik I’ve seen was $12/yd but I had my suspicions as to its claim of being 100% hand-made. Some batik fabrics are perfectly happy being tossed into the washing machine and then into the dryer (warm water, low heat) as the dyes are fixed-fixed-fixed, but I’d check on a case-by-case basis when buying it, as I’d be loathe to do anything with artisanal fabric other than wash it in cold water and laying it flat to dry.